This one-year paid fellowship provides a space to gain practical youth ministry skills. GO HERE for more info. 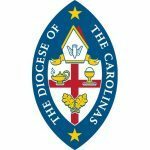 Trinity Church (Diocese of South Carolina) is seeking a part-time Organist/Pianist/Choirmaster. A degree in music and 3-5 years experience is preferred. Pay will be commensurate with education and experience, plus allowance for travel and continuing education. If you are interested, please email office@trinityedisto.com or call 843-869-3568. The Director of Student Ministries is responsible for the oversight, direction, and coordination of Student Ministry at St. Paul’s Church. These ministries include: Weekly Bible Studies, Youth Retreats, Fellowship Events, Service Opportunities (within the church and in the community) and Student Discipleship. GO HERE for more information.